Your dog explores the world with his nose the same way that we do with our eyes. We see beautiful colors in thousands of different hues. Your dog takes in information from his environment through his nose, and exercising that organ by learning how to train a dog to do nose work is a great way to help hone Fido's skills. Any dog can be trained to play nose work games. Unlike some other popular canine activities, size and breed do not matter when it comes to nose work for dogs. As long as your dog is motivated by food or a favorite toy, he will have a blast doing nose work. This exercise I demonstrate in my video above is also mentally stimulating. It's really a win-win. It gives your pup a fun way to be active while also stimulating him mentally. Doing nose work is a great activity for energetic dogs, highly intelligent dogs and pets that love a challenge. You might be surprised at how simple it is to get started learning how to train a dog to do nose work. It's no more difficult than teaching your dog simple doggy commands like “sit” or “stay.” Just remember that it will take time and patience, so don't get discouraged if your dog doesn't pick up on it right away. Some dogs have more natural drive than others. Your dog may be highly motivated to search for food or his favorite squeaky toy. However, he may need a little more time to come around to the fun of nose work. Stay consistent and keep trying. It's likely that your dog will realize how fun this activity can be in just a short amount of time. All you'll need is a few small cardboard boxes and the motivational treat or toy that you'd like to use. If your dog is not highly motivated, try using a treat with a strong odor like lunch meat or jerky treats. The stronger the smell, the easier it will be for your dog to find the hidden item. Once Fido has figured out the structure of the game, you can switch to a treat or toy that doesn't have such a strong odor. It will help to make the nose work more challenging and will also be more stimulating for your pooch. Y our pet must be the only one around when you're beginning to learn how to train a dog to do nose work. You don't want any distractions including other people or animals. If you have a peaceful yard with little distraction, you can begin outside. If you live in an urban area or on a busy street, you'll want to begin inside. When learning how to train a dog to do nose work, it's important to start slowly. At first, all the “hides” should be done in one room or one small area outside. All the boxes should be in plain sight. This allows your dog to learn the game more quickly and helps to build his confidence. As you can see in my video review, things will be pretty simple at first. Start with just a few boxes and put treats underneath all but one. Your dog should sit and wait for you (which my dog did NOT do very well). If need be, you can anchor your dog's leash to something to keep him from following you around to all the boxes. Be sure to touch all the boxes, even the ones that you don't hide treats under. Let your dog sniff each box and figure out how to tip it over and reach the treat underneath. When he finds a treat, use a lot of praise and encouragement to show him that he's doing a great job! Although you may need to give him subtle directions at first, try to do as little as possible to help your dog with his search. The challenge is what makes it exciting. At first Fido may not realize this, but his natural instincts will kick in quickly and realize how much fun nose work can be. So you've made the hides easy and your dog is grasping the concept of nose work. That's great! Now it's time to take things up a notch and really make Fido work for those treats. If you're working indoors, expand the search area. If you're working outside, try spreading the boxes further apart around the yard. And, cut down on the number of treats that you're leaving – only hide under one box so your dog really has to search for his reward. 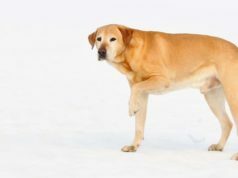 Give your dog plenty of time to get used to this new step before moving on. You want to make sure he fully grasps the basics before moving on to the more advanced aspects. By now, your dog should really understand the concept of searching for things with his nose. You should also be a pro at learning how to train a dog to do nose work. Now you can really make things challenging. If you've been working inside, take things outdoors. If your dog is used to your yard, make things trickier by moving to another outdoor location or expanding into the trees around your home. This is also a good time to bring in another dog, which will add a bit of competition to the challenge. You can also begin to change the motivator. If your dog has been using a treat, try moving on to a favorite toy. If your pup isn't into playing with toys, try using a food motivator that doesn't have a very strong odor, like vegetables or plain dog biscuits. Learning how to train a dog to do nose work is fun and exciting (for you and your pet). If you're like me, you'll be hooked once your pup starts really getting into the game. I love watching our little Beagle mix sniff around the yard looking for her treats, and it's been a lot of fun involving our chocolate Labrador in the training too. Scent games are a great way to provide the stimulation of nose work while also making things more difficult for your dog. Some dogs may be content just sniffing around the yard, but if your dog needs for stimulation, you can try some fun scent games that will really get his mind working.